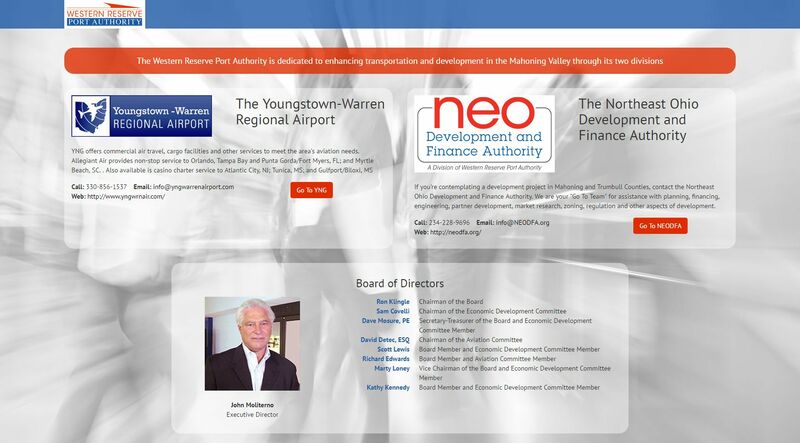 The Western Reserve Port Authority was created in 1992 to operate the Youngstown-Warren Regional Airport. Using the unique powers granted to port authorities by Ohio law, the WRPA has evolved into a dynamic, multi-faceted agency dedicated to promoting growth and economic development in the Mahoning Valley. To that end, in 2008 the Port Authority created an economic development division, now known as the Northeast Ohio Development and Finance Authority. 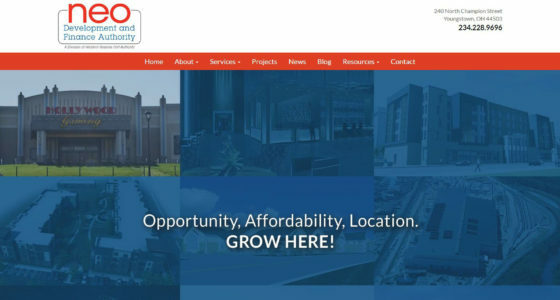 Farris provides a wide range of services to NEODFA, including branding, website development, web videos, social media management and PR.